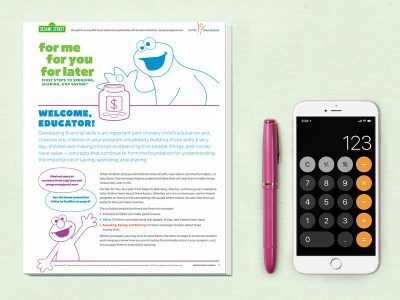 These classroom activities emphasize the key concepts of choices, value, and financial literacy skills: spending, saving, and sharing. Print and copy some of the activity pages and help kids complete them. Print and copy the family letter and distribute to parents and caregivers.